However, from among the hundreds of fake Godmen and Godwomen who sell flashy packages of Yoga, Ayurveda, and Meditation wrapped in shallow pop-philosophy one person stands out as a real Guru – Swami Chinmayananda. The Chinmaya mission is different from poisonous spiritual cults like those of Sai Baba, the hugging saint, the art of living and others of their ilk which shamelessly promote eulogizing of their respective founders, resort to cheap tactics like spiritual rock music to attract followers, and brainwash unsuspecting seekers into zombies under their control. 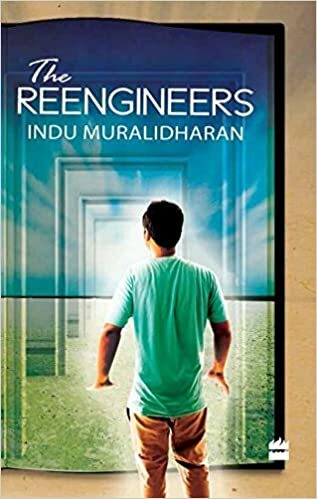 The shady activities depicted in the Seeker’s School in The Reengineers draws from real-life incidents that I heard from reliable sources about what goes on behind the scenes in any of these average ashrams. Not so with the Chinmaya Mission where the focus is on the study of Sanskrit scriptures and philosophical discussions. The seekers I have met in Chinmaya groups were all uniformly of exceptionally high calibre and intellect, and refreshingly reserved though polite unlike the fake smiles and saccharine declarations of ‘belonging’ promoted by the commercial spiritual cults. Best of all, after more than two decades of Swami Chinmayananda’s samadhi, his disciples continue to celebrate the wisdom of ancient Indian philosophy with initiatives like this excellent television series Upanishad Ganga. Pranams to Swami Chinmayananda on his birthday.